The SanDisk 1TB Extreme Portable SSD is discounted to just $179.99. Usually this drive will set you a whopping $350 on a regular day. Grab the deal today. There have been some pretty great deals on portable storage over this recent festive period, and one of them looks like it’s back with us. 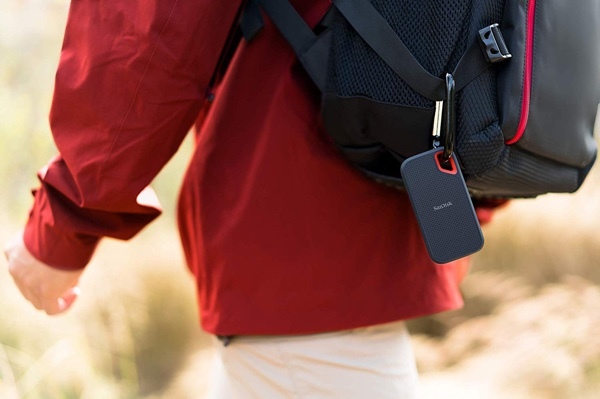 The SanDisk Extreme Portable SSD is a great option for anyone who needs fast storage while on the move, and right now the 1TB version is available at a pretty amazing $179.99. This portable SSD normally retails for anything up to $350 which makes this quite a bargain. With speeds of up to 550MB/s and IP55 water and dust resistance you can be sure that no matter where you take this drive, it won’t be lost to the elements. That can be a real weight off of the mind if you’re capturing important video, images, or data and don’t want to run the risk of anything going missing. Connectivity-wise, this drive connects via a USB-C cable and USB 3.1 protocol, making it ideal for both Mac and PC users. We can’t overstate just how much we like this drive and it’s definitely in the top two drives that we would pick up if we were in the market for such a thing. This one even functions just fine in freezing temperatures! 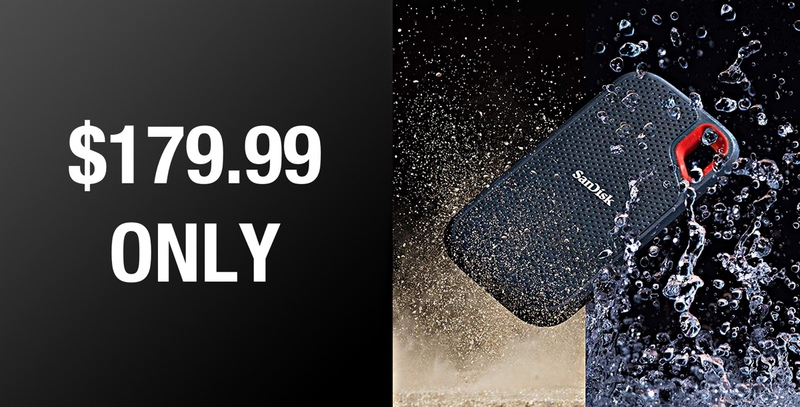 Portable storage continues to get less and less expensive thanks to ongoing deals like this, so if you’re in need of some extra space for that next big project, why not take a look at this SanDisk Extreme drive before setting out?